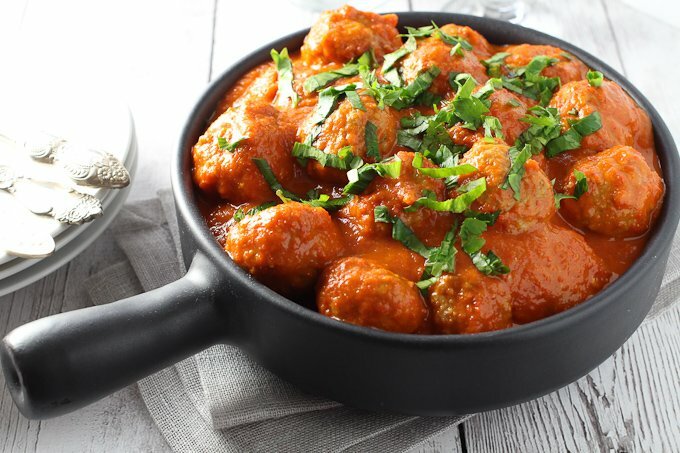 These healthy turkey meatballs are first baked in the oven and then mixed with a super delicious red pepper sauce. I learned how to cook this red pepper sauce when I was living in Austria. I had a friend who cooked the most amazing stuffed bell peppers with this super delicious red pepper sauce. 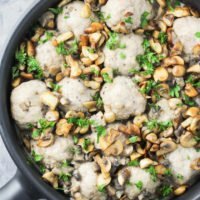 This time I decided to pair the sauce with healthy turkey meatballs and it turned out amazing! Don’t worry about the number of ingredients. 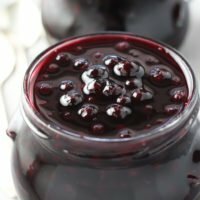 This recipe is really easy to make. 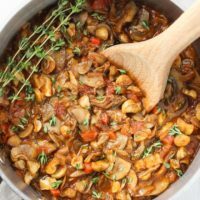 For the sauce, you just need to put the liquids, spices and red bell pepper chunks in a pot and cook it for about 40 minutes. In the meantime, you can make the meatballs. Once the meatballs are in the oven, puree the peppers. Then place the meatballs into the sauce and you are done. 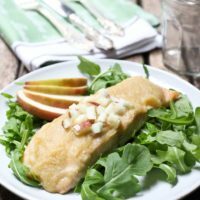 This recipe (or should I say these 2 recipes? ) is very versatile. You can use the sauce recipe with other dishes or serve the healthy turkey meatballs with a different kind of sauce. To keep this meal healthy and low GI, serve the meatballs over healthy grains such as quinoa or buckwheat, or with roasted vegetables. 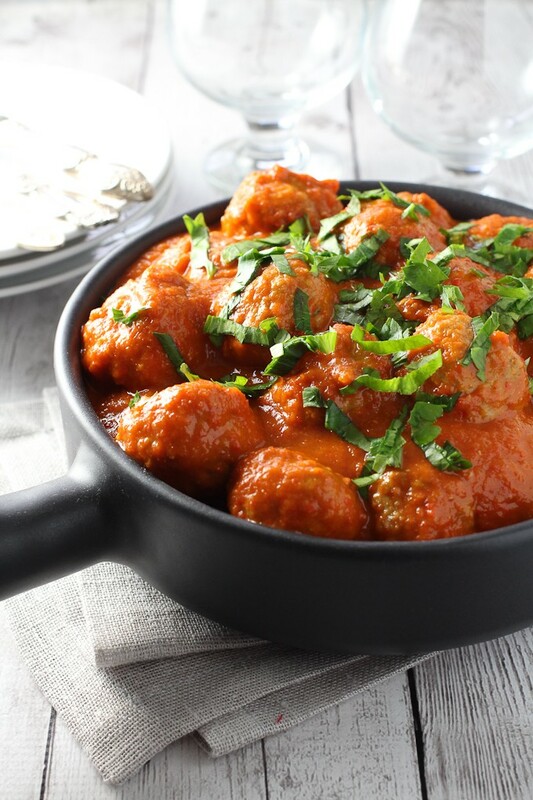 This Turkey Meatballs in Red Pepper Sauce Recipe is very versatile. 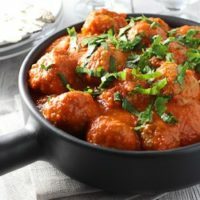 You can use the sauce recipe with other dishes or serve the meatballs with a different kind of sauce. 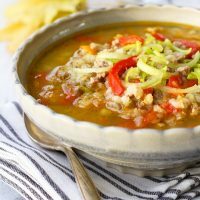 Tastes great over healthy grains such as quinoa or buckwheat, or with roasted vegetables. In a medium pot, heat 2 tablespoons of olive oil over medium heat. Add the onion and cook, stirring occasionally, until the onion starts to caramelize, for about 6 minutes. Add the chicken broth, white vinegar, sugar, red paprika and garlic powder. Mix to combine and add the bell pepper. Stir so that the bell pepper is covered in the broth and spices. Bring to a boil. Reduce heat. Cover and cook for 40 minutes until the pepper is soft. 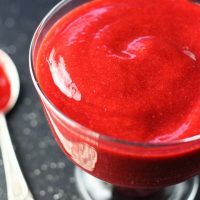 Puree the peppers using an immersion blender or transfer the peppers into a kitchen processor and blend until smooth. (I prefer a food processor, I think it does a better job. On the other hand, an immersion blender is more convenient). Taste the sauce and season with salt and pepper if desired. In the meantime, preheat the oven to 400F. Place the ground turkey in a bowl. Add the tomato paste, egg, bread crumbs, garlic powder and salt. Mix well to combine. Using a tablespoon or your hands, scoop the turkey mixture and form it into small meatballs. Place the meatballs on a baking sheet setting them 1 inch apart. Bake the meatballs for about 20 minutes or until cooked through. Transfer the meatballs into the sauce. Bring to a simmer and turn off the heat. Looks delicious! How much sauce does this recipe make? Hmm, it’s a good question. I’ve never measured the sauce. Enough for this amount of meatballs. I think maybe about 1.5 to 2 cups of sauce depending on how juicy the bell peppers are. This was my first time to the site (thank you Pinterest!) and after trying this one out, I can’t wait to try more!! Super delicious and healthy too!!! Yum! 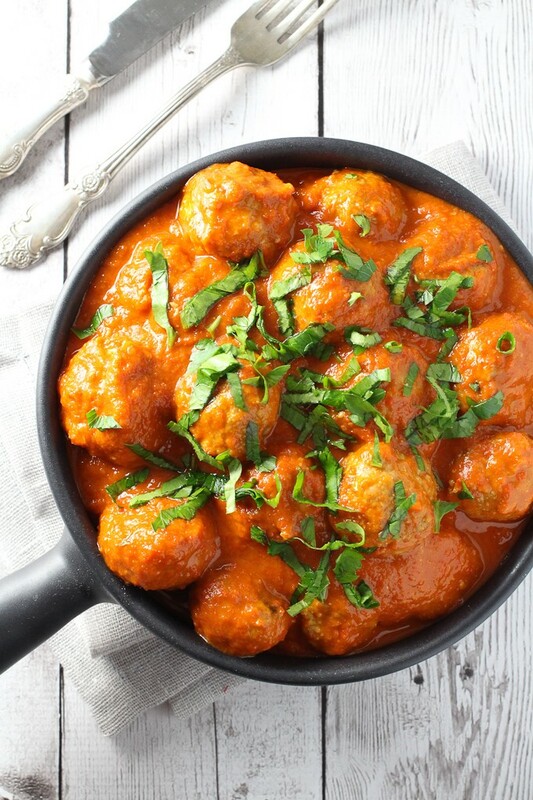 Love great meatball recipes, especially turkey and the sauce sounds amazing! This red pepper sauce looks amazing Maria! Can’t wait to try this. Gorgeous photos! Thanks Anne! It was delicious. I am very happy with the photos. Although, I have to say that this sauce is very easy to photograph because of the color.